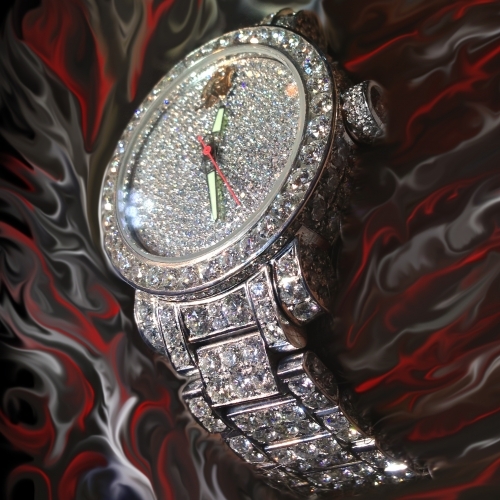 WE MANUCATURE CUSTOM DIAMOND WATCHES. Since the watch took nearly one year to complete, and posses the highest quality materials in production it could not be shipped. The watch was hand delivered to the customer in Moscow, measured to his wrist, then adjusted and hand delivered again. It is named "STANDART" after the royal yacht of Czar Nicholas II, pointing back to an era where no corner was cut, and no expense was spared in the pursuit of opulence and grandeur. Only 30 pieces of this handmade diamond watch will be crafted. Each watch is numbered and will be proven to be a collectors item with the march of time. For a hand made diamond watch that will only have 30 owners on this planet, the price is modest simply because it is introductions. As the models sell, the price goes UP! 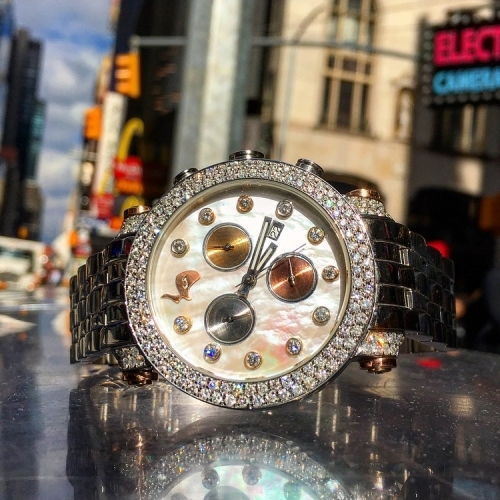 This watch was created for a close friend of the TraxNYC Company. The purpose of the project was to display our custom diamond watch production capabilities and open up the realm of possibilities for potential customers. Custom watches are an unheard of luxury even in the highest circles of society. That's what makes our pieces a collectors item.